Amazing prices - Only While Stocks Last! 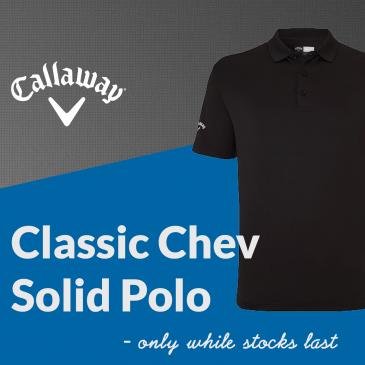 The Callaway Chev polo with Callaway logo placement on the right sleeve. Made from 100% Polyester the unique wicking feature draws moisture to the outer surface and causes it to spread out and dry more quickly.